In this exclusive audio interview Emmy Winner Charlotte Robinson host of OUTTAKE VOICES™ talks with the fabulous Kathleen Turner about her starring role in THE PERFECT FAMILY directed by Anne Renton, the new comedy/drama that opened the Provincetown International Film Festival. In this family themed film Turner plays a devout Catholic and New Jersey suburban mom who is confronted by her religious beliefs. She learns she’s a candidate for “Catholic Woman of the Year.” This is where it gets interesting. The church must interview her family in order to make their decision. Her daughter played by Emily Deschanel (from the hit Fox TV Series Bones) plays her lesbian daughter who’s about to marry her partner but Mom is in denial that the relationship even exists. Her son played by Jason Ritter wants to get a divorce and Michael McGrady portrays her recovering alcoholic husband who has just had about enough of all the deceptions. The stellar cast also includes a rare performance by Richard Chamberlain as Monsignor Murphy. This film deals with positive LGBT family issues and whether you’re Catholic or not you must see this movie. THE PERFECT FAMILY, written by Paula Goldberg and Claire V. Riley and produced by Certainty Films, is playing the festival circuit and will be at Outfest LA in July. It will be released May 4th 2012 in NYC, LA and on demand with a wide release on May 11th. In this exclusive audio interview Emmy Winner Charlotte Robinson host of OUTTAKE VOICES™ talks with Connie White, Artistic Director of the Provincetown International Film Festival that takes place in Provincetown, Massachusetts June 15th through June 19th. The Opening Night Film will be THE PERFECT FAMILY directed by Anne Renton with the stellar cast Kathleen Turner, Jason Ritter, Emily Deschanel and Richard Chamberlain. The festival will close with MASTER HAROLD AND THE BOYS. The Friday Spotlight Selection is CIRCUMSTANCE and the Saturday Spotlight Selection is SPLINTERS. Career Achievement Award will be given to director Albert Maysles who created the amazing documentaries GIMME SHELTER, GREY GARDENS and SALESMAN. The 2011 Filmmaker on the Edge Award will be awarded to writer/director Darren Aronofsky, BLACK SWAN and THE WRESTLER. The Excellence In Acting Award will be presented to Vera Famiga, UP IN THE AIR, DOWN TO THE BONE and HIGHER GROUND. Other highlights among the 50+ films programmed this year include the East Coast and New England Premiers of TOMBOY and ON TOUR. There are award-winning international favorites such as ANOTHER EARTH, JANIE JONES and HAPPY, HAPPY. Acclaimed documentaries include BECOMING CHAZ, THE LAST MOUNTAIN, PAGE ONE: INSIDE THE NEW YORK TIMES and TABLOID. Of course there will be the annual A NIGHT AT THE DRIVE-IN which will be in the horror genre with ALIENS and TROLLHUNTER. This year the Youth & Diversity Program will include the timely film THE BULLY PROJECT. 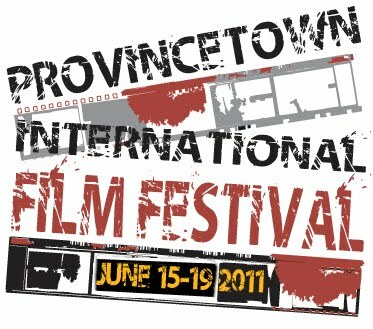 Connie White has been with the Provincetown International Film Festival since it began thirteen years ago. Under her direction, the PIFF has hosted and honored such acclaimed independent filmmakers as Gus Van Sant, John Waters, Mira Nair, Christine Vachon, Todd Haynes and Quentin Tarantino. 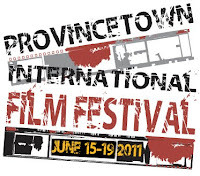 The Provincetown International Film Festival is dedicated to showcasing new achievements in independent film and honoring the work of acclaimed and emerging directors, producers and actors. PIFF is equally devoted to expanding the audience for independent film and to serving the Provincetown community and reflecting the community’s rich diversity in America’s oldest art colony. This is the fifth year we’ll be covering the festival for OUTTAKE VOICES™. In this exclusive audio interview Emmy Winner Charlotte Robinson host of OUTTAKE VOICES™ talks with Keri Aulita, Deputy Director of the Boston Pride Committee, about this year’s events. 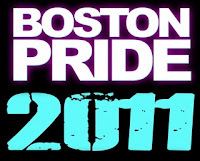 Boston’s LGBT Pride celebration starts June 3rd and runs through Sunday June 12th. In celebration of the 41st anniversary of Boston Gay Pride this year’s theme is ‘EQUALITY No More No Less’. The 2011 Boston Pride Theme reminds us to continue the fight for full and true equality, with no exceptions and no concessions. Equal treatment under the law, in our schools, at work, in our neighborhoods and in the religion of our choice. We expect to be treated with respect and fairness by our peers, families, elected officials, doctors, landlords, employers, neighbors and religious leaders. We must insist on the same rights, dignity, protection, access and opportunities in our towns, cities, countries and worldwide. All people. All places. All ways. ‘EQUALITY No More No Less’. The annual Pride parade is on Saturday June 11th with over 30 events and parties happening all week long. Happy Pride Everyone! !